The Bleu Lavande Cleansing Water and Cleansing Milk give your face the kind of clean that even the softest and gentlest skin will love. This pair of gentle face cleansers are soothing and gentle on your skin while cleaning. The Bleu Lavende Cleansing Water is thin and leaves no residue on your face. 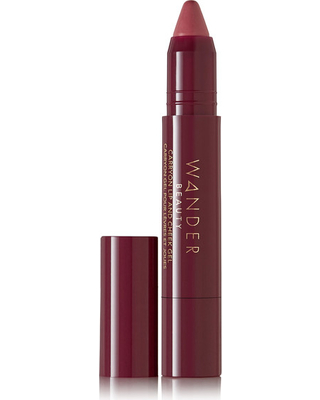 It has the properties and scent of lavender water which really soothes your skin and makes it feel refreshed. It makes your skin feel clean without drying it out or irritating. 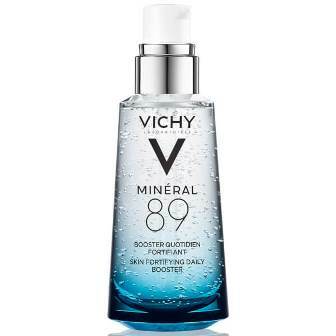 As a micellar water, you don’t need to rinse. It’s really easy to use, no matter how lazy you are. If you can’t get enough, you can also try the Cleansing Milk. This Bleu Lavende face cleanser is a creamy version, but still just as easy to use. Because it’s creamy and milky, I was worried about not having to rinse. It turns out it’s just as light on your skin. This cleanser was more moisturizing, probably thanks to the addition of honey. No matter which gentle skin cleaner you choose from Bleu Lavende you can’t really go wrong. Sensationail has taken the cost of keeping your nail looking perfect to a minimum with their new Express Gel One Step Polish kit. This set comes with everything you could need including the promise of 19 day nails in five minutes. Right off the bat, I like that these sets come with a nail polish colour, so you don’t have to purchase that separately. There are a few options for the colour to get, but you can also choose from 20 other colours to buy separately. I was really surprised to read that this polish needed no base coat or top coat. It seems impossible to get polish that stays on for 10 days without these elements. Applying a beautiful manicure, yourself, with the Sensationail Express Gel Kit is actually as easy as they promise. I know, it’s hard to believe! I swear though, it’s so simple. You just apply the polish and pop your fingers under the light. The light is motion activated and automatically turns off after 30 seconds, the right amount of time. Be sure to read the instructions carefully for tips on how to apply. It’s best if you do your thumbs first and then the rest of your fingers as it says. Also, you may need an extra 30 seconds on some of your fingers. Once you pull them out of the lamp though, tadaa they are done. And bonus, they are dry! You don’t have to wave your fingers around waiting. The finish is beautiful and so shiny! They look like salon quality nails. Now onto their other claim of a 10 day manicure: In all of my trials and times applying, my nails never made it to 10 days. My nails didn’t make it to three days without chipping. I am unusually hard on my nails, so I also gave the Sensationail Express Gel Kit to someone else. This girl also didn’t make it more than three days without chipping. What does this mean for Sensationail Express Gel Kit? I don’t know. You do get a beautiful, fast, salon worthy manicure. On the other hand, no pun intended, your manicure might not last long. 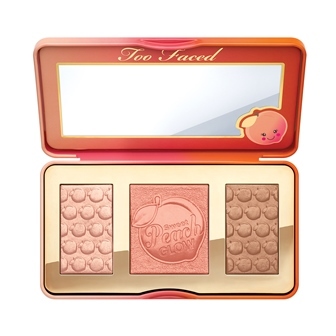 It is so simple to do touch ups. I touched up my nails in the morning before I left for work. But that’s not my ideal scenario. Is it worth it, I honestly don’t know. There are shampoo and conditioner collections for literally everything now. Coloured hair, fine hair, frizzy, coloured…you name it. So it was nice to try a line that just wants to give you healthy hair and that’s exactly what Dove’s newest Nutritive Solutions line, Complete Fortification, does. I have fine, frizzy, wavy, dry hair; so obviously I don’t expect miracles out of a shampoo bottle. 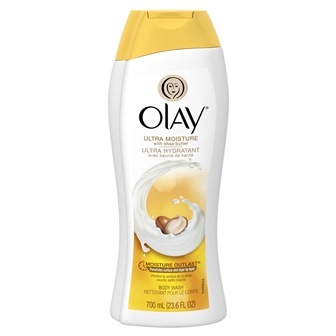 But after using this shampoo and conditioner for a few weeks (with rotating various styling products), I noticed that my hair felt stronger, more moisturized and looked a lot shinier. 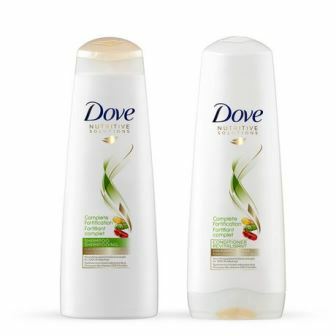 It has a nice fruity, floral scent and since it’s Dove, it won’t cost a fortune for me to repair my hair when it needs it. Will I use it on a daily basis? No. But if I notice my hair getting damaged or needing a break, it’ll definitely be one of my go-to’s.I usually have a lot more to say about hair products, but when something works as well and as simply as Dove’s Complete Fortification line, I don’t really have to say much. In this case, that’s a good thing. Do you remember your days as a teen using acne pad to clear your skin? 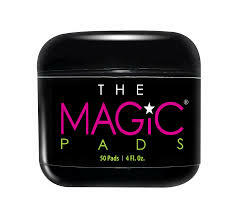 When I started using The Magic Pads, I felt like I was having a flashback of those days. Back then those pads used to severely dry out my skin and even give me a rash, so there was definitely some concern in my head. Luckily this was a much better experience. The Magic Pads are SO easy to use. You can literally use them any time that you need a quick cleanse. I loved using them in the morning to refresh my skin before my routine. They don’t have an overpowering smell. They don’t dry out my skin. 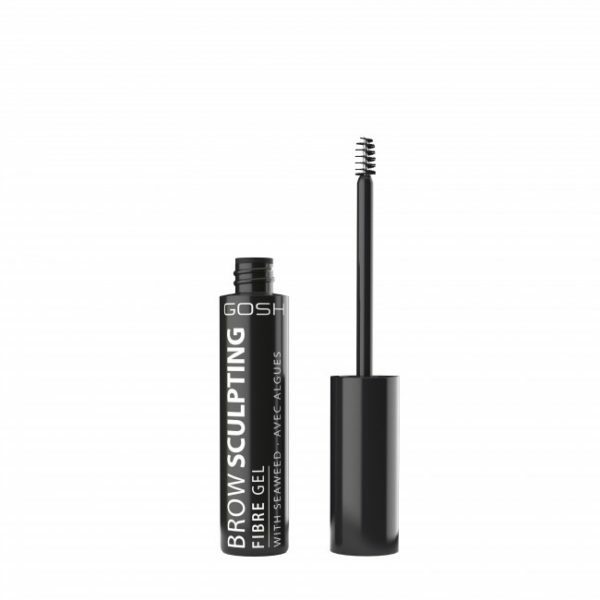 They help with pesky blemishes and tighten up your pores. They aren’t just for your face either. You can use them anywhere. I love them for my neck and chest. I even read reviews about people using them on their feet. 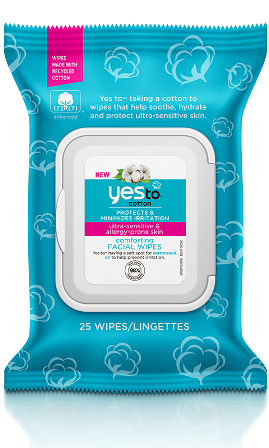 I feel like Magic Pads are one of those little secrets that beauty editors and makeup artists keep to themselves, but it’s time for these to be in everyone’s arsenal. Since I hit my mid-thirties, I’ve been paying a lot more attention to anti-aging skincare. I have a lot of issues yet but I know they’re coming. Avène’s Ysthéal Intense is just that, intense. Made for anti-aging, people who have had recent skin treatments and people who just want better looking, hydrated skin; this nighttime moisturizer seriously covers all the bases. I have combination skin with definite dry patches and a couple tiny lines but other than that I didn’t really think I had anything that had to be corrected. The first week I tried Ysthéal Intense, I didn’t notice much of a difference. Sure my skin felt really nice in the morning and looked pretty good but two weeks later, all that changed. All of a sudden, I noticed that my skin looked way more even and smooth. I didn’t even know I wanted it to be more smooth! After almost a month of using it on a fairly regular basis, I’m seriously impressed with the results. 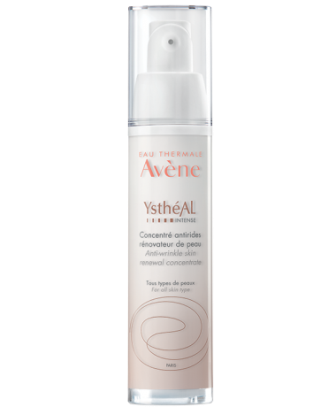 That said, if I’m going to continue using Avène for anti-aging, I might consider switching to the regular Ysthéal because the Intense formula is a little too much for my combination skin, especially in this crazy Toronto humidity. I can literally feel it drawing the moisture into my face, to the point where I look like I’m sweating. I’m definitely retrying this one in the winter because I feel like it’ll be perfect then. 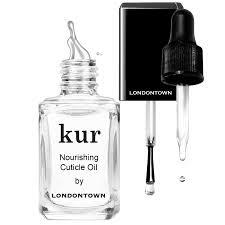 Until then, this is going to be my little secret for times when I want my skin to look amazing. Inspired by all the sparkly, pretty pastel desserts of Paris, Essie’s summer collection fits right into that description and are some of the sweetest shades I’ve seen for hot weather. We received three of the six shades to try and while I still need to get my hands on S’il Vous Play, I do love these shades for summer. They’re so different from the typical neon polishes we get around this time of year. Unfortunately, Toronto is in the middle of a crazy humid heatwave and not all the shades cooperated. 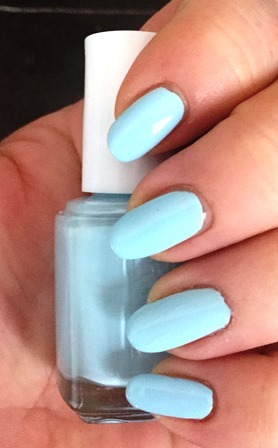 Normally this ‘pastel Parisian blue’ would be my favourite of the bunch. I don’t know if it was the formula, my specific bottle or a combination that caused me to have major settling issues. I had to redo my ring finger three times before I could get it presentable enough for a photo. I’m betting on humidity being the culprit, so I’m hanging onto this bottle to try again later. Because it’s so, so pretty. 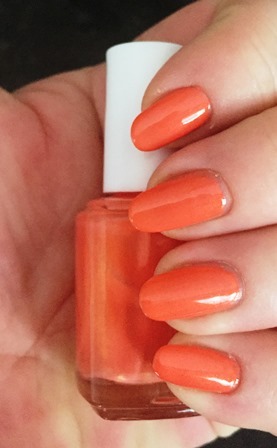 Lately, when I’m presented with an orange nail polish, my initial reaction is ‘another one?’ But this ‘shimmery apricot marmalade is so much nicer than I expected. Two thin coats were all I needed and while I saw more of the gold shimmer in the bottle than on my nails, I really like this for summer. This was the biggest surprise for me. This ‘pastel lilac macaron’ actually makes me think of french macarons and summertime. Two thin coats were perfect and it was a tiny bit patchy but settled down well. I’ve worn it out once and got a ton of comments about how pretty it is. Sold. I wish I had the other half of the collection to try out but I’m really happy with the three I tried. Well, I will be if I can get Blue-la-la to cooperate. My hair has been struggling this year. It’s frizzier than ever before and doesn’t want to comply with any style. 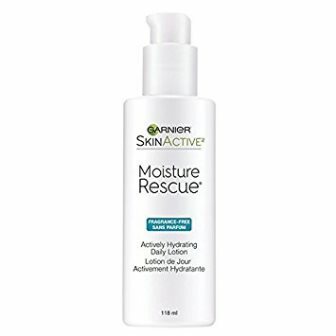 Enter this leave-in conditioner from Garnier. I’ve always liked Garnier’s styling products. They are affordable and leave my hair looking good without feeling like I have a ton of product in my hair. I would always prefer hair that I can run my fingers through versus a great complicated style. I like the natural feel. That’s what this coconut and cocoa butter leave-in conditioner gives me soft hair, less frizz and something that I can work with throughout the day without having to add a ton of products.